A few years before I left Marketo, I started thinking about my succession plan. I knew that I might leave one day, so it was important to me that I leave the organization in good shape to live without me. This was complicated by the fact that I had designed most of the product. For a long period, I think my absence would have been highly disruptive. So I embarked on my multi-year succession plan. This is one of the most important lessons. You can’t just hire a second YOU and expect that person to take over on a moments notice. You need to develop that leadership level over a long period of time. They need to gain trust and rapport with the rest of the extended team. When I found the right people, I invested several years of training to get them to the level I thought was enough to take over for me. It’s alot of stuff. The protege doesn’t always learn in a linear fashion. Sometimes it took years for a lesson to sink in. I just got a message from someone I worked with 6 years ago. Patience is crucial here. Keep training, as long as progress is being made. I found that one of my proteges would make intense leaps of maturity after long periods of development. More of a stair than a hill. One of the most painful things I have ever had to do was disconnect from people at the organization. I had to step back and help people less often. I had to avoid being a crutch. For anyone who knows me, this is depressing and awful. I WANT to help so bad. I want to help everyone. However, if you want to have a decent succession plan, you need to isolate yourself somewhat. You need to create a circumstance where life can go on without you. Everyone wants to imagine that key employees will stay forever, but the reality is that everyone is dispensable. It’s a truth about corporations. No one stays forever. Bill Gates left Microsoft. Steve Jobs left Apple (twice). Sometimes it’s a positive move and sometimes it’s not. However, if you have any hope of a decent succession plan, you need to imagine the company without you. In my last 6 months at Marketo, my team was put under someone else’s management without me. I didn’t WANT this to happen, but it did. This was the CEOs way of continuing my disconnection, paving the way for my departure. This might sound calculating, but CEOs need to calculate. It’s not that he wanted me to leave, but he thought it was best for the organization as a whole. Anyone can second-guess how he handled my situation. 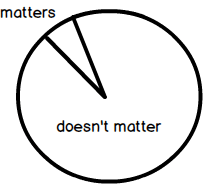 It doesn’t really matter. We can’t go backwards, only forwards. We live and we learn. When you leave, there will be people close to you who want to leave along with you. It is my philosophy that you need to work hard to get those people to stay and thrive. I think the best way to do that is to give them more money and promotions. Shower them with love. I worked hard to make sure key people on my team got what they deserves and then some. The truth is that leaving created leverage for other people to get long awaited raises. The last thing management wants is a mass exodus. I think most companies handle this moment poorly. They treat the departing as “Dead to me”. This sends a horrible signal to the rest of the team. What should happen is a celebration, a Bon Voyage. A reminiscences of the good times and a hearty thank you from the team for time well served. Marketo had a small catered thing for me in the lunch area. A couple of people spoke. It was sweet, but it was missing almost every executive team member, especially the CEO. I wish he had shaken my hand and thanked me. This left a bit of a bad taste for me, but we can’t have it all our way, can we? I imagine that George Washington may have felt this way after John Adams became president. He voluntarily stepped down. He could have been declared king if he wanted. He created the mother of all succession plans. An orderly, bloodless transfer of power. For this alone, he is one of my favorite historical figures. It’s not that he wanted chaos. He just wanted to feel special. I recently heard that the UX team was doing well in my absence. Chaos did not appear. My succession planning worked as well as I could have hoped. People may miss me personally, but work continues and the team performs its function. The team remained professional and the right people were rewarded with raises and promotions. Working at Marketo has left a significant imprint on my life. I have spoken to many ex-employees and this seems to be a pattern. Apparently, it takes about a year to process it all after leaving. This blog is a window into my head and soul. I try to be transparent without hurting anyone in the process. I think 2016 will include a bunch of posts that help me process my time there, both the good and the bad. Hopefully, they will help someone else along the way.